Programming Systems (PS), Software Engineering, Programming Languages, and Formal Methods: Software Testing, Verification, Model Checking, Runtime Monitoring, Performance Evaluation, and Computational Logic. 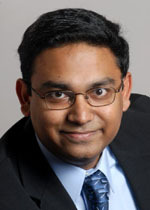 Koushik Sen is a professor in the Department of Electrical Engineering and Computer Sciences at the University of California, Berkeley. His research interest lies in Software Engineering, Programming Languages, and Formal methods. He is interested in developing software tools and methodologies that improve programmer productivity and software quality. He is best known for his work on directed automated random testing and concolic testing. He received the C.L. and Jane W-S. Liu Award in 2004, the C. W. Gear Outstanding Graduate Award in 2005, and the David J. Kuck Outstanding Ph.D. Thesis Award in 2007 from the UIUC Department of Computer Science. He has received a NSF CAREER Award in 2008, a Haifa Verification Conference (HVC) Award in 2009, a IFIP TC2 Manfred Paul Award for Excellence in Software: Theory and Practice in 2010, and a Sloan Foundation Fellowship in 2011. He has won three ACM SIGSOFT Distinguished Paper Awards. He holds a B.Tech from Indian Institute of Technology, Kanpur, and M.S. and Ph.D. in CS from University of Illinois at Urbana-Champaign. K. Sen, G. Necula, L. Gong, and W. Choi, "MultiSE: Multi-path Symbolic Execution Using Value Summaries," in Proceedings of the 2015 10th Joint Meeting on Foundations of Software Engineering, ESEC/FSE 2015, New York, NY, USA: ACM, 2015, pp. 842--853. K. Sen and M. Viswanathan, "Model checking multithreaded programs with asynchronous atomic methods," in Computer Aided Verification: Proc. 18th Intl. Conf. (CAV 2006), T. Ball and R. B. Jones, Eds., Lecture Notes in Computer Science, Vol. 4144, Berlin, Germany: Springer-Verlag, 2006, pp. 300-314. K. Sen, D. Marinov, and G. Agha, "CUTE: A concolic unit testing engine for C (ACM SIGSOFT Distinguished Paper Award)," in Proc. Joint Meeting of the 10th European Software Engineering Conf./13th ACM SIGSOFT Intl. Symp. on Foundations of Software Engineering (ESEC/FSE 2005), H. C. Gall, Ed., New York, NY: The Association of Computing Machinery, Inc., 2005, pp. 263-272. P. Godefroid, N. Klarlund, and K. Sen, "DART: Directed Automated Random Testing," ACM SIGPLAN Notices, vol. 40, no. 6, pp. 213-223, June 2005. A. Vardhan, K. Sen, M. Viswanathan, and G. Agha, "Using language inference to verify omega-regular properties," in Tools and Algorithms for the Construction and Analysis of Systems: Proc. 11th Intl. Conf. (TACAS 2005), N. Halbwachs and L. Zuck, Eds., Lecture Notes in Computer Science, Vol. 3440, Berlin, Germany: Springer-Verlag, 2005, pp. 45-60. K. Sen, M. Viswanathan, and G. Agha, "Statistical model checking of black-box probabilistic systems," in Computer Aided Verification: Proc. 16th Intl. Conf. (CAV 2004), R. Alur and D. A. Peled, Eds., Lecture Notes in Computer Science, Vol. 3114, Berlin, Germany: Springer-Verlag, 2004, pp. 202-215. K. Sen, A. Vardhan, G. Agha, and G. Rosu, "Efficient decentralized monitoring of safety in distributed systems," in Proc. 26th Intl. Conf. on Software Engineering (ICSE 2004), Los Alamitos, CA: IEEE Computer Society, 2004, pp. 418-427. K. Sen, G. Rosu, and G. Agha, "Runtime safety analysis of multithreaded programs," in Proc. Joint Meeting of the 9th European Software Engineering Conf./11th ACM SIGSOFT Intl. Symp. on Foundations of Software Engineering (ESEC/FSE 2003), New York, NY: The Association for Computing Machinery, Inc., 2003, pp. 337-346.